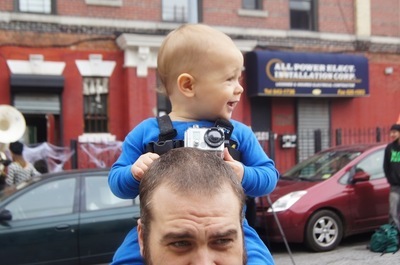 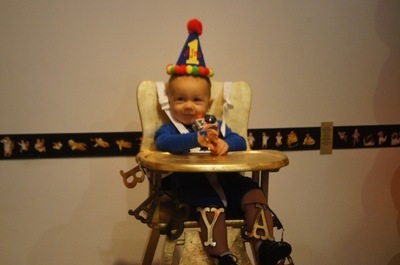 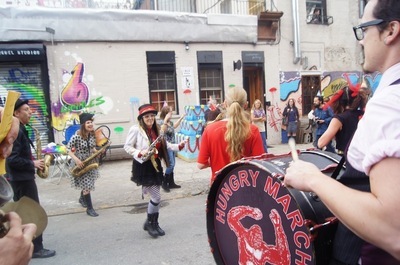 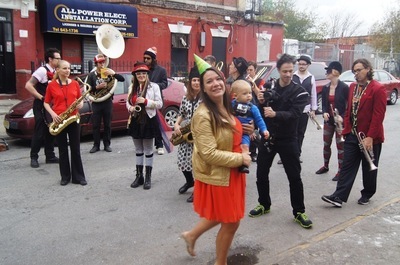 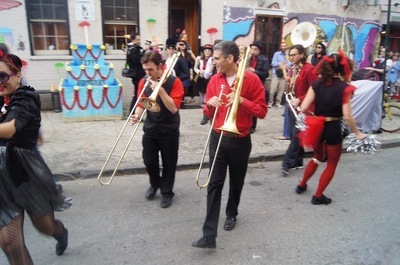 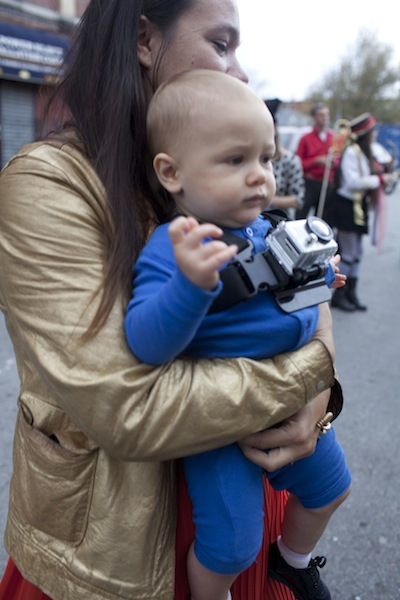 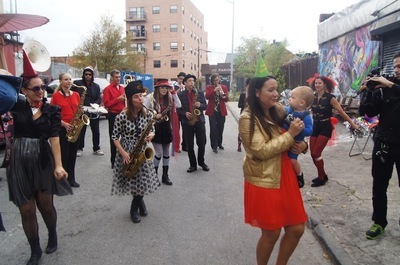 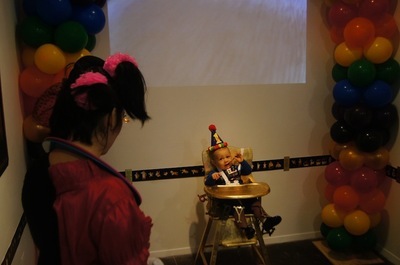 Held at Microscope Gallery in October 2012, one year after the baby's birth, Ajax's First Birthday Party, was a live performance and real-time birthday event featuring the Hungry March Band, Audrey Crabtree as Pepper the clown, a champagne toast, a giant cake and more. 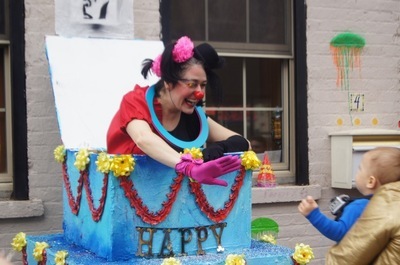 In First Birthday, Kotak presented the actions, rituals, and pageantry of this traditionally important rite in the context of a performance at the same time the moment was being lived. 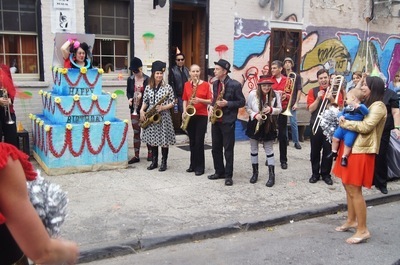 The public was invited to join in the celebration.